Job postings for new Nintendo developers points at a sizeable game on the way. The Nintendo Switch came racing out of the stables at full pelt thanks to one killer launch title – The Legend of Zelda: Breath of the Wild. One of the games of the generation, it looks as if Nintendo is quickly looking to capitalise on its success with a follow up title. Nintendo&apos;s Japanese website states that the developer is looking to staff up for a new 3D Legend of Zelda title. Two jobs listed include one looking for a 3D computer graphics designer, and another on the hunt for a level designer. To be based at Nintendo Kyoto HQ, each candidate would be required to work on terrain design, concept art, dungeon and level layouts, enemy AI and more. 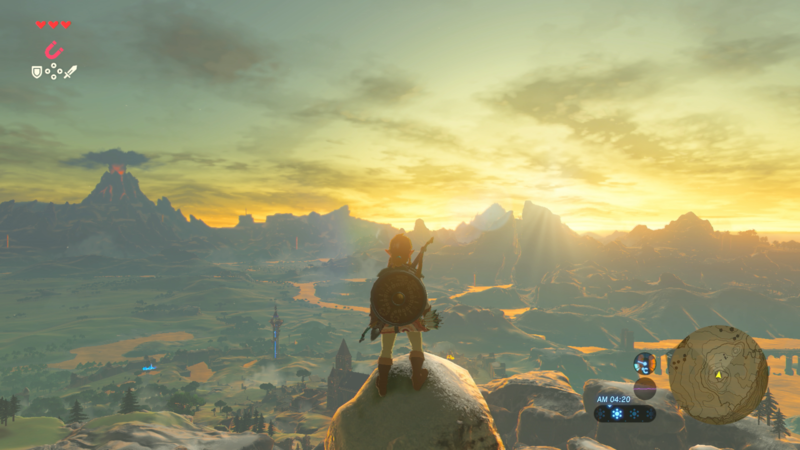 The news of a new Zelda game shouldn&apos;t come as a surprise – a key franchise for Nintendo, piggybacking off the success of Breath of the Wild is a no brainer, while the company has previously stated that development of new Zelda titles begins almost immediately after the previous title is wrapped up. But what form will this latest offering take? While some fans are clamouring for a return to the top-down Zelda style of old, it&apos;s more likely to be a title that will borrow from the superb foundation laid down by the Switch&apos;s must-have adventure. After all, a game of that scope would have taken considerable resources, and it gives Nintendo an opportunity to expand on what worked less well in its previous title. Personally, we&apos;d love to see something like the N64 curio Majora&apos;s Mask here – it too followed the intense and lauded release of a major 3D Zelda game (the N64&apos;s Ocarina of Time) and reused assets and systems in wildly inventive, dark new ways for the series. We&apos;d be surprised to not see something similar happen here.